Why high density (6th-9th) will not directly intervene for a "white house lawn" disclosure event. Corey's requests for contributions and gratitude after an outpouring of support. 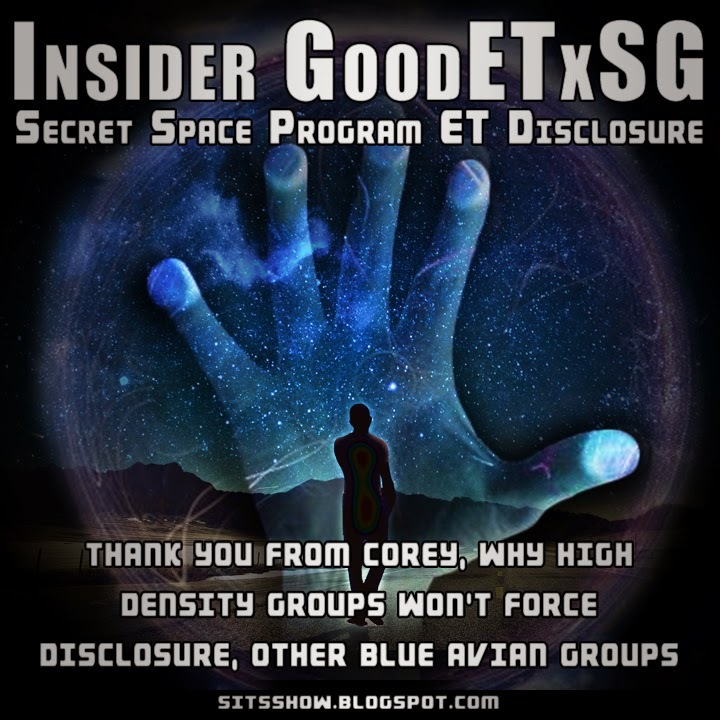 Commentary on other Blue Avian disclosure groups. I can relate to what Corey mentions about asking for help. We are conditioned to think any remotely public person who asks for help is a shill or scam artist, as if all the work is solely to make money. David Wilcock receives a lot of flack for promoting his books and tv show for example. Speaking as a fellow blogger, researcher and truth seeker, the unknown can play havoc with one's sense of peace and direction. Often sharing data of this depth and scope receives a fair share of backlash, which is rarely balanced by appreciation. For us this can create a cloud of misperception, and make us feel as though it is all for not. When fear of rejection meets head on with the needs of reality, we can be pushed to bravely seek assistance from our fellows. After all, is there anything that can exist without a deep sense of connection to everything else? 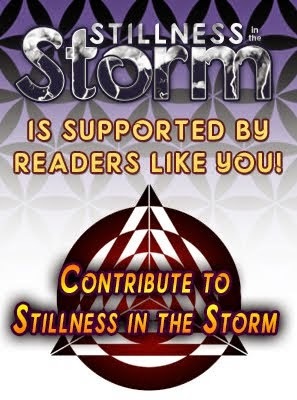 Corey's gratitude echos our own here on SITS, as this blog is supported by the readership, whose energy allows us to pour our own into the work. While money has been demonized, and rightly so within certain contexts, it remains an essential part of life here on Earth. Until such time we can set aside our differences and work together for the good will of all, some medium of exchange will most likely exist as a transitional device. In this sense, by offering a few dollars to someone to continue their work, you already have found value in, is a huge gesture; and means a great deal to us on the other end of the computer screen. Personally, it can be difficult to know if the work we are doing has value to others in their journey of self realization. And receiving a thank you comment, an email of gratitude or a few dollars when in need, is a huge confirmation of the profound awareness of interconnectedness we all have with each other. For my part, I hope my efforts to share information has empowered others on their path. As I have been greatly empowered by the work of others, Corey being one of them. Corey, could you ask the SA why don't they just have a large number of their members log into the internet onto forums. They could respond to our questions and they wouldn't have to scare everybody by landing on the white house lawn.? Come on Uncle Jack, You know that isn't quite how it works... No one would believe they were really the ones answering the questions and then the next step would be to request them to land on the white house lawn or make a TV appearance which is not their "Way"... "6th - 9th Density Beings" do not operate on the same way of thinking and logic that we do. I will be further offline some tonight and tomorrow (I have been off/on and up/down technically for some weeks now). I finally had to break down and spend some $ that I could NOT AFFORD AT ALL to (Wife is very unhappy ) purchased some new HW. I was recently hacked in a serious way and being in the IT Business for over 20 years I have computers that are in very very bad shape (Yes, its true "Plumbers have the leakiest pipes"). My best LT was a 5 YO computer with Linux on it that shut down constantly and the screen flickered... It has been almost impossible to get any work done or keep up with things online. For that I apologize. I had to drop just under $600 ($595.32) on new equipment today that will put me in the 21st Century and also allow me to bring my Network Security up to the standards they should be while working on this kind of material. I am going to be working on that Installation and Configuration for a while. I will get that setup and will be back online and I hope able to finally get some real work done. It has been almost impossible to get any amount of work done until this point and I have really fallen behind. I and my wife are moved, shocked and very grateful. In just a few hours of working on my system and logging back on and seeing this I see that 2/3rd's of the $ I expended today has been replenished... The way the Universe, STO People like yourselves and these "Beings" work never ceases to amaze me (Even with all I have seen/experienced)! I am very happy that I am going to be able to do my work and begin to keep up more with emails, reports and journals all of this data properly. GoodETxSG is mentioned in it. I have to say it has been very interesting to hear Cobra, Tolec (Recent YouTube Release same week as Kerry Cassidy's) and Simon Parks (Recent Interview w/Kerry Cassidy) among a few others (Well, minus "The Ruiner"/Former PA Mod who I know well and have spoken to in Skype for quite some time and after they tried to convince me they were also meeting the Blue Avian's and it didn't work they broke off contact and opened a new "Blog") all mention the "Sphere Being Alliance" (And Blue Avian's) as it fits into their established paradigms. I am not going to "Poo Poo" any of the before mentioned people's depictions of these 6th - 9th Density Beings that I have been meeting face to face as well as the other beings they mention in the council and federation meetings. I think it is a major step towards unification that they are recognizing that these are "Positive Beings". 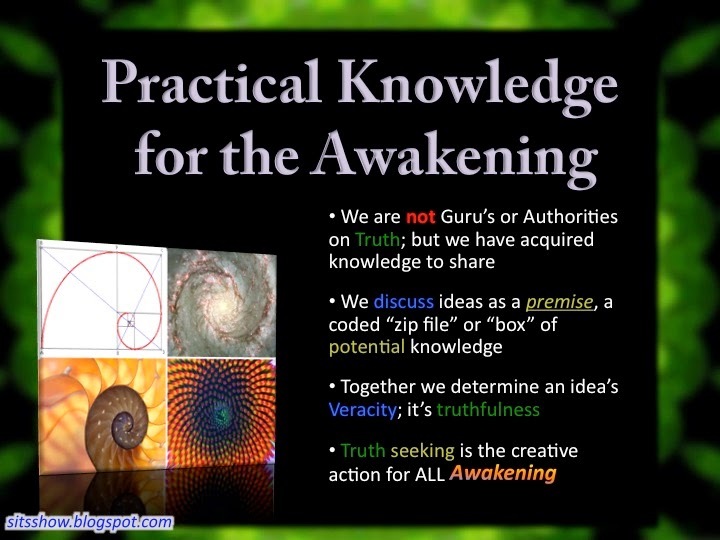 It has been a very interesting few weeks of third party information and discussions of this information in the vacuum of solid and relevant information being released by myself and David Wilcock on these subjects (Other that Dr. Salla's recent articles). Now that I have the Hard Ware replacements that I required I will be releasing much more information. Thank you to all the TOT Members and KP Blog Members!!! I am still beyond amazed at the response and honestly did not expect all of the help. There were some very generous donations of $100 or more that were amazing... And some very loving and meaningful "Numbers" like 3.33, 11.11, 33.33 etc as well as people that donated $1. I know there are many who have sent emails saying they wish they could send $ but are in the same financial situation I am in at the moment. Their loving energy and kind words alone were extremely valuable. This show of love has been a very emotional experience for both my wife and myself. For those who say there is no hope for humanity and there are very few "Service To Other" types of people out there... They are extremely misinformed! Thank all of you again, This selfless assistance has now completely helped us with these technical HW expenses with some extra funds to put towards some SW ("Dragon Naturally Speaking" that will assist my work because of my typing limitations from recent Hand/Fore Arm & Shoulder Surgeries/Issues).